1. Who or what inspired the title of this tour? I called this tour Gagster’s Paradise. I wanted a title that let people know it had loads of jokes in, there’s no story, no sad bits, you’re definitely not going to learn anything, but if you like lots of jokes it’s for you. I thought it was quite a clever title, but I hadn’t fully accounted for autocorrect though. A lot of venues, papers, even ticketing companies have had the show listed as ‘Gangster’s Paradise’ as that’s what your computer automatically changes it to. 2. What can audiences expect to hear and learn about you? They can expect to hear at least 200 jokes that will hopefully make them laugh from start to finish. After a show when someone tells me their face hurt from laughing I always think ‘Good, that’s what supposed to happen’. 3. Do you prefer live shows, radio or television? How do they differ? Live shows are easily the best. The reason you do radio and telly is to sell the tickets for the live shows. The difference is control. In TV there are strict and ever increasing rules on what you’re allowed to say, whereas live it’s up to you and your audience. 4. Do you set aside a particular period of time each day to write or do you just write when the mood takes you? Ideas come whenever they come in, you jot them down in your phone nowadays but it used to be your notebook. But the actual turning these into jokes is best done in the morning. Nearly all my best jokes were written in the morning. The rest were written in the one hour before a new material gig when I suddenly realise I’ve not got enough stuff. Sarah Millican. Photo by Getty Images. 5. 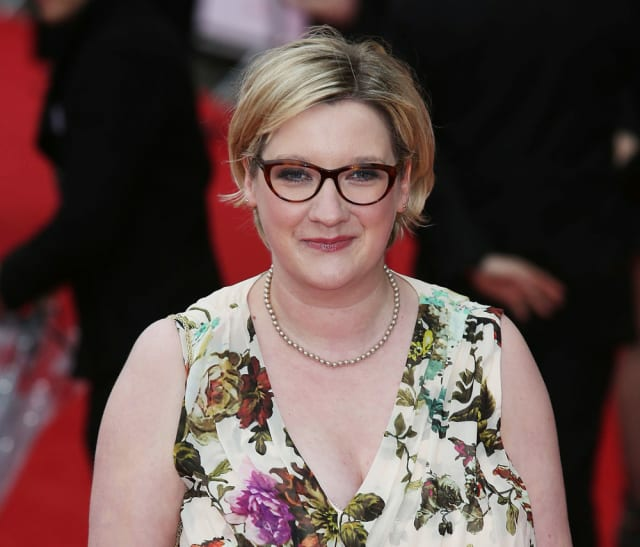 How did you meet your wife (Sarah Millican)? We did a gig together in Newcastle. 6. What’s it like being married to a fellow comedian? Good. She understands the hours, shares my attitude towards hard work and we know that there will be times when you won’t have an evening off for weeks. This sort of stuff puts a lot of pressure on a relationship otherwise. She makes me laugh and I like that. Being the funny one in a relationship isn’t as good as being one of two funny ones. 7. Do you ever write material for each other or nick each other's gags or are your styles too different? Way too different. She talks about her life, and I do gags that are nearly all not true. Often comics live together in house shares and when something funny happens there can be disputes over who gets to use it, we don’t have any of those issues as our styles are so different. We do often test out our new stuff at the same gigs, and compare notes afterwards on what worked, what didn’t and what might work better if you do x,y and z. 8. What is the funniest thing which has happened to you in a show? I was doing a summer afternoon gig in a big tent for a load of hairy bikers. It was going really well. Then about 20 minutes in it went ballistic. I was getting the biggest laughs and cheers ever, the crowd were on their feet. I thought I was a genius and had finally discovered the secret of comedy. I hadn’t…. .the sunlight was bright on the tent wall behind me. Unknown to me a drunken biker had slipped out of the gig and, seeing the queue for the Portaloo, had craftily popped round the back of the tent to relieve himself. He didn’t realise that with the sun behind him he was making the perfect shadow puppet of a weeing man on the canvas right behind me. 9. What is the worst show you’ve ever done and why? Berlin, 2002, they flew me out and assured me the crowd would speak good enough English to get my jokes. I was following German comics who were ripping it. I thought ‘Hang on Germans are the least funny people in the world, if they’re ripping it then how well will I do?’. The answer was very badly indeed. I played for seven minutes to a politely baffled silence. It’s one thing to understand a foreign language. It’s quite another to understand wordplay. I died so badly they rewrote their guidance for visiting comics to say ‘don’t do wordplay’. The act before me was a choir of German school children bouncing up and down to a medley of Beatles hits whilst holding torches. How could I have done worse than that? I don’t know, but I did. 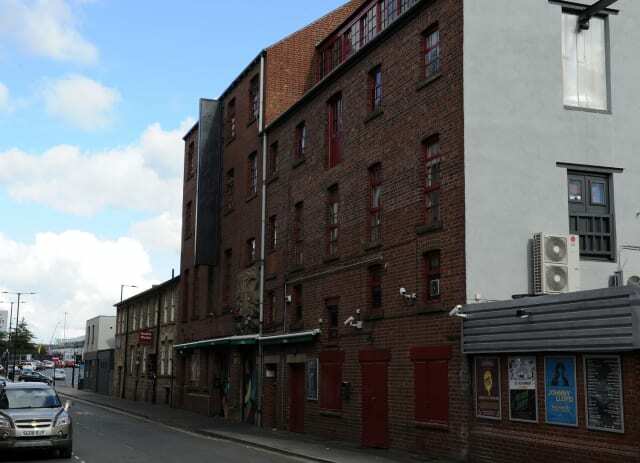 The Leadmill, Sheffield, where Gary Delaney will be performing on February 27. 10. What are you looking forward to about returning to Sheffield? Sheffield crowds are usually in that sweet spot between people who are smart enough to get a subtler joke, but not so priggish as not to laugh at something darker, ruder or sillier. Sheffield was where I did the third preview for this tour, that was the one where it clicked and I thought ‘This is actually going to be a good show’. Up until then it was all just scribbled notes and blind optimism. It was such a relief. So I thank the people of Sheffield for their good taste. 11. 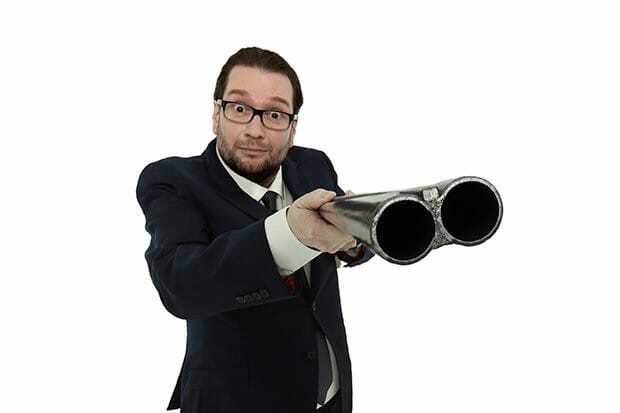 What job would you like to have done if you hadn’t made it in comedy? Staff writer on The Simpsons in its heyday. 12. What are your ambitions? To make each joke better than the last and each show better than the last. For my jokes to still be making people laugh long after I am gone.